How to get an Instant Personal Loan with Low Credit Score? What is a credit score? The Credit Information Bureau (India) Limited is India’s leading credit information company that records and maintains a large collection of consumer credit information. A CIBIL score is a 3 digit numeric score between 300 and 900. Any score higher than 750 is considered a good CIBIL score. CIBIL assigns a credit score based upon your payment history. 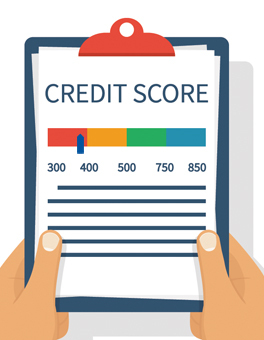 Factors that are taken into account for your credit score computation include, your total credit balance, balance between your secured and unsecured loans, number of loans and credit cards, credit utilisation, and more. A credit scoring algorithm is used by credit information bureaus such as CIBIL, Equifax, or Experian to arrive at a valid credit score. However, CIBIL is largely referred to by consumers and lenders in India because it provides in-depth historical data. 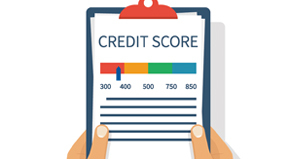 Lenders such as banks and NBFCs use this credit score information to assess consumer loan eligibility before approving loans. A higher CIBIL score means higher creditworthiness and therefore a higher score increases the chances of your loan approval. A lot of personal loan applications are rejected by the banks because of low or no CIBIL score. A bad credit score often indicates that the borrower was not responsible with timely repayments. Why is my credit score bad? If you have defaulted on your credit card or loan EMI payments, or have been applying for too many personal loans or credit cards at the same time, or haven’t maintained a good credit utilisation ratio, chances are you have a low CIBIL score. Why don’t I have a credit score? If you don’t have any credit history because you have never borrowed in any form, you won’t have a credit score. Students and others who do not have a credit card or have never taken a loan do not have a credit score. Can I get a short-term personal loan if I have a bad credit score? A good credit score plays an important role because short-term personal loans are mostly unsecured loans making them risky for banks. A bad score tells the bank that the borrower has bad loan repayment history, and a good score indicates good creditworthiness. Traditional banks therefore reject loan applications with bad credit history. Does this mean you cannot avail a short-term personal loan because you have a bad credit score? If you need urgent cash to pay an emergency bill and have a low CIBIL score what are the other options to get quick cash? Many alternative lenders like CASHe provide instant personal loan even if you have a low CIBIL score. If you have a steady job with good income and can repay your loan, your CIBIL score shouldn’t matter for an alternative lender. Alternative lenders believe that borrowers with a steady job, who regularly pay their taxes, and have a bank statement to present, can repay short-term loans even if they do not have a CIBIL score. Moreover, FinTech products like CASHe use proprietary concepts like Social Loan Quotient (SLQ) in the absence of a credit score to decide on the loan amount. You can get an instant personal loan with a few swipes on your smartphone using the CASHe app. If you have your identity and address proof documents, latest salary slip and bank account statement showing salary credit, and your PAN card handy, CASHe can help you with a loan approval in minutes. To know more, download the CASHe app NOW. Best part, you can use short-term loans to improve your credit rating before you applied for your next higher budget let’s say home loan by borrowing small money from an alternative lender and making timely repayments.